The Trump administration's "zero tolerance" immigration policy is seen as unwanted and unfair in the border city of 142,000 that's home to the massive U.S. Customs and Border Protection facility where families crossing the border illegally have been separated. 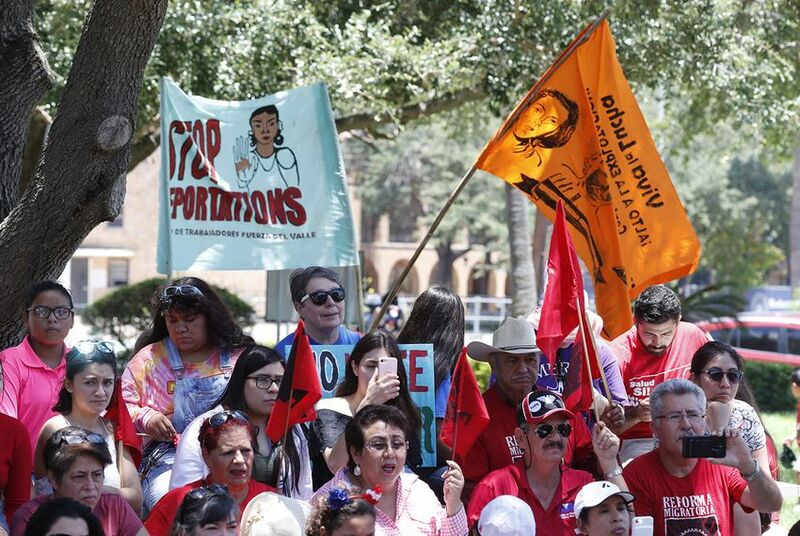 Protesters demonstrate against the Trump administration's immigration policy in McAllen on Saturday, June 23, 2018. Bob Daemmrich/BDP Inc.
MCALLEN — Maria’s Restaurant offers Pollo en Mole for $8.25 and patriotic red, white and blue peanut M&Ms for a quarter in a gumball machine near the front door.